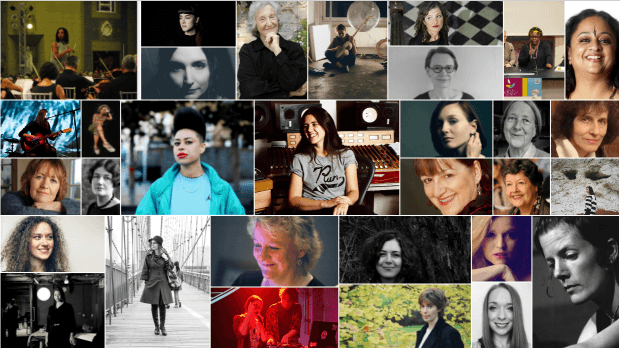 As part of the International Women’s Day 2019 campaign to #BalanceforBetter, Sound and Music showcase the profiles of 31 composers and their unique contributions to composition in the UK. Alumni Akiko Haruna and Guoda Dirzyte, current student Jade Gunner and DMSA Course Leader Dr Maria Papadomanolaki are profiled in the showcase that is part of the online archive of British Music Collection. British Music Collection provides unparalleled access to the modern history of composition in the UK. Established in 1967 as a means for contemporary composers to deposit scores and recordings for performers to access, it now consists of almost 70,000 works and recordings from over 3000 20th and 21st century composers and sound artists. The value in the collection is undeniable – providing access to over 50 years of contemporary composition – but it’s not without fault. The underrepresentation of female composers, or those who identify as female, across the original collection is stark, and a reminder of the progress that has been made, and must continue to happen, in and across new music. Much of the British Music Collection now exists here online, and this provides a great opportunity to readdress this imbalance and the original aim of the collection: providing access to the work of contemporary composers. This month we talk to Hannah Kemp Welch who grduated from the course in 2009. 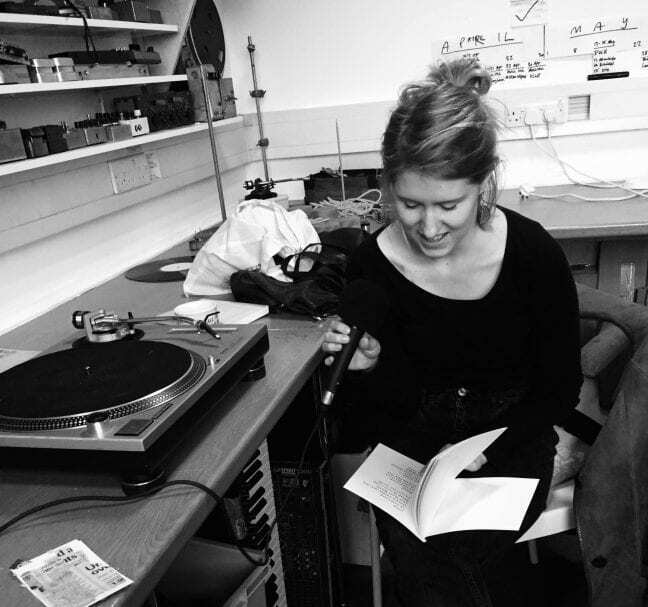 Hannah has been working as a social practice sound artist, working collaboratively with communities, educators and artists. Hannah has worked with communities across the UK, and shown works at Tate Modern, Middlesbrough Institute of Modern Art, Firstsite Colchester, and Nottingham Contemporary; Hannah is currently the Open House artist in residence at Kettle’s Yard, Cambridge. DMSA: Where do we find you now? HKW: I’m currently at Kettle’s Yard, the University of Cambridge’s modern and contemporary art gallery, on a year long residency . I’ve chosen to focus my research on early developments in radio in North Cambridge by the Pye Group, and create radio art works with local community groups, culminating in a day of broadcasts on the local radio station and a display at the gallery opening in March. I also run a music project in Brixton for people with mental health needs, creating new routes into music education, so that people in challenging circumstances can access quality music production spaces, equipment and resources. HKW: I’ve been running a community music project since 2013, and working on sound art commissions since a couple of years after completing my MA. I spent a year after university interning in art galleries, and then worked at Tate for 5 years on an action research project. This was great experience; I learnt about the variety of careers in the arts and grew my networks until I started to get commissions. I’m now a freelance artist and work on a variety of residencies, commissions and education projects. HKW: The DMSA course was my first introduction to sound art, a field I now work in. It offered an entry point, inspiration, and a space to experiment with ideas alongside support and guidance to create work. I learnt a lot of methodology, and was directed to artists and writers whose ideas were very influential in forming my work and values. I’ve stayed in touch Kersten Glandien, who has been very supportive of my work since supervising my dissertation 10 years ago. DMSA: Can you tell us a bit more about Vanguard, your recent project for Art Gene? HKW: In November 2018 I was selected for a residency in the Cumbrian town of Barrow-in-Furness, and lived and worked with ten artists to create new works in response to the local area. Barrow is famously where BAE Systems build nuclear submarines. As I’m vice-chair of the London branch of Campaign for Nuclear Disarmament, I felt a pull to make work about this controversial industry, yet was aware that a high percentage of Barrow residents are employed by BAE, so any response must be highly sensitive to the context. My work in Cambridge on the Open House residency programme had put me in touch with amateur radio operators, so I found a local meeting of Furness Amateur Radio Society and asked members questions about submarine communication systems. I interviewed local residents, recorded sounds of the docks, and attempted to listen to submarine transmissions via VLF, compiling my recordings into an audio work. The residency ended with an exhibition at Art Gene, and I made a zine to sit alongside the sound work with images and texts drawn from my research. DMSA: Other plans for the future? projects, events, visions? HKW: I’m working on a few other projects at the moment, delivering sound art workshops for October Gallery and contributing to a publication on arts education for Tate and TENT Rotterdam. An 8-channel sound work I created with my collaborator Lisa Hall is on display at Sound Reasons festival in New Delhi [and soon to be included in a series of concerts at London College of Communication, UAL. I’m preparing for Hyperlocal Radio , my display at Kettle’s Yard and takeover broadcast on World Radio Day. I’m also delivering lectures at Goldsmiths and for the V&A in February, and hoping to help out with Soundcamp in London on International Dawn Chorus Day in May. Past this, I’m really keen to develop social practice sound art, seeing a potential to introduce new people to artistic audio production and a need to make sound art accessible and culturally relevant outside of the framework of institutions. I’d love to set up a sound art education studio, or work in a collective of social practice artists. Ideally, I’d like to spend as much time as possible on residencies, learning about new spaces and sharing ideas through sound. The first Professional Practice Masterclass for 2019 is with Hannah Kemp Welch on Monday 14th January, 4:30-6, Performance studio. 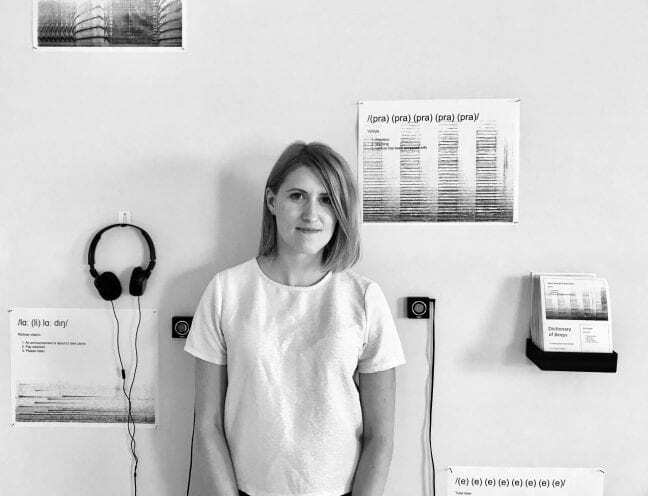 Hannah Kemp-Welch is a social practice sound artist, working collaboratively with communities, educators and artists, to listen to the world around. 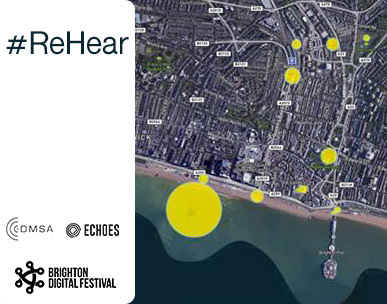 Using a range of strategies such as sound recording, audio interventions, broadcasts, performance and digital making, works explore communication and ask how do we listen? and who can be heard? Hannah has worked with communities across the UK, and shown works at Tate Modern, Middlesbrough Institute of Modern Art, Firstsite Colchester, and Nottingham Contemporary; Hannah is currently the Open House artist in residence at Kettle’s Yard, Cambridge. This session will focus on setting up as freelance artist, working with large and small institutions, and packaging your practice for residencies, commissions and open calls. Within this, there’ll be focus on socially engaged practice and community arts, exploring current debates in arts education. Students will gain insight into the value of collaboration and knowledge exchange with community groups and we’ll discuss strategies for engaging new audiences with sound arts. All That Scratching Is Making Me Itch is a en event curated by Stephen Mallinder featuring films by our students Aki Purser, Jedd Winterburn along with a fine selection of Scratch Video films, live music and more. 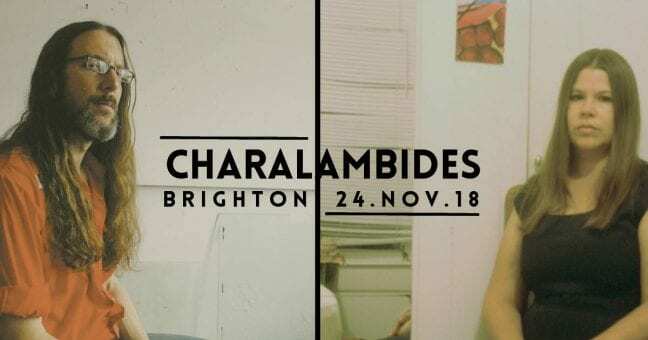 DMSA Alumni and current member of the DMSA team, Joshua Legallienne will be supporting the texan acid-folk duo (although this is a limiting label to their music) Charalambides on their Brighton concert at the Rose Hill on 24th November. Joshua will be performing a solo set for acoustic guitar which will be the perfect openenr for the duo’s hazy folk repertoire. Charalambides founders Tom & Christina Carter dedicate themselves to a vision of iconoclastic music as transformative force. Touching on the outer limits of acid folk, psych rock, and improvisation, their sound remains uniquely personal & consistent. Formed in Houston in 1991, Charalambides has produced dozens of releases on labels like Siltbreeze, Time-Lag, Kranky, & their own imprint, Wholly Other. The duo will be touring in Europe in support of their forthcoming release, Proper, coming out in the autumn of 2018 with Drawing Room Records. We talk to Laurence Owen ahead of his masterclass on Monday the 26th. Laurence graduated from the course in 2011 and since then he has led an amazing career as a freelance composer, songwriter, sound designer and voice performer. He has written music for the BBC, Toyota, O2, Stella Artois, Sipsmith, ARTE, The Beano, Historic Royal Palaces and the V&A Museum, and provides sound design for critically-acclaimed multimedia theatre company 1927. LO: Physically, I’m catching up on some admin in my living room in Norwich. Mentally, I’m formulating the music and lyrics for an upcoming musical adaptation of Jekyll & Hyde that I’m working on. LO: 1. Craft – I’m more interested in making things that serve a function than making things that exist purely for themselves. 2. Accessibility – I don’t personally subscribe to the “if anyone else likes what you’re doing, that’s just a bonus” philosophy (but completely respect anyone who does). 3. Narrative – I like stories, and I like making (and consuming) music and sound that involves storytelling elements. Laurence Owen – Composer Showreel from Laurence Owen on Vimeo. LO: I started writing and recording music when I was 14. I really hope I’ve improved a little bit since then. LO: Having the space, time, equipment and permission to work was, on its own, hugely helpful. But I also left feeling actively encouraged to blur the lines between sound and music, art and design, highbrow and lowbrow. The DMSA course taught me that there are no set paths into the creative industry, and no set careers when you arrive in it. DMSA: Can you tell us a bit more about The Time Machine? LO: The Time Machine is the most recent of four productions I’ve co-written with my writer wife Lindsay for the Edinburgh Festival Fringe. It’s a musical adaptation of HG Wells’ novel, and although it’s a Victorian story, we’ve chosen to tell it in the style of a 1950s radio play. We have a table of foley sound effects, and I’ve written a Bernard Herrmann style B-movie score, as well as playing live theremin during the show. We’ve been touring the country with it for a year, and it’s just about to be retired so that we can work on our next production. LO: Our Jekyll & Hyde show is the next major project I’m working on. Aside from that, I’ve always enjoyed scoring factual/documentary work, so I hope to do more of that. I’m also seeking to score more experiential entertainment – theme parks, VR attractions, interactive museum installations, and so on. But truthfully, I never know what’s around the corner. That’s what keeps this job exciting, and a little scary… but in a good way! We are thrilled to have critically acclaimed composer Laurence Owen (DMSA alumni 2011) back to give a masterclass. Laurence Owen (DMSA 2011) is a composer, songwriter, sound designer and voice performer. 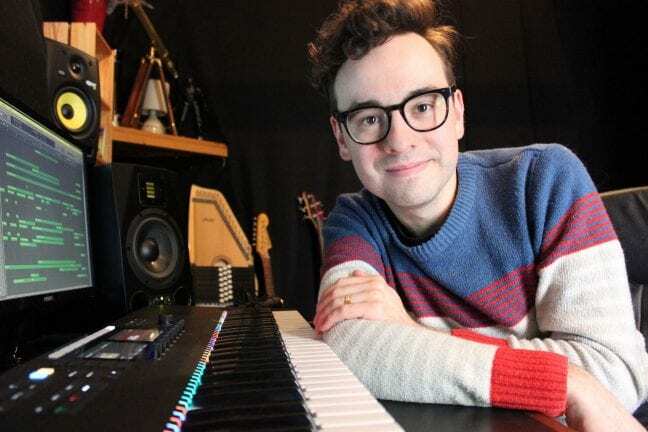 He has written music for the BBC, Toyota, O2, Stella Artois, Sipsmith, ARTE, The Beano, Historic Royal Palaces and the V&A Museum, and provides sound design for critically-acclaimed multimedia theatre company 1927. His film credits include the Sundance Film Festival official selection White Morning, which earned him two music award nominations at SoundTrack Cologne Festival. 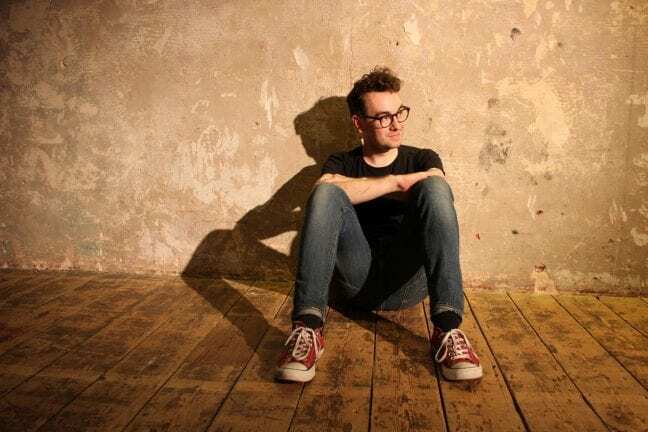 Laurence has produced music and sound design for productions at London’s Young Vic and Trafalgar Studios theatres, and was nominated for Best Theatre Sound at the ProSound Awards for his work on 1927’s Golem. He has also co-written four original musicals for the Edinburgh Festival Fringe (one of which won a 2015 Malcolm Hardee Award), and was composer and musical director of Cat & Mouse, a Village Underground and 1927 co-production. For the last seven years, I’ve been professionally making music for a wide array of film, theatre, radio, TV and corporate clients – mostly just a few days’ work at a time. It’s not all been glamorous, but it has all been solid, paid composing work. By not specialising with laser-focus on any one area, I’ve built up a diverse and ever-growing network of clients that has provided me a livelihood. In this session, I’ll tell you about the steps I’ve taken up to this point, ever-available opportunities that you could exploit, and how to keep you well-prepared and confident in this competitive field. Since DMSA students all have different specialities, I’d also like to find out your individual skills, and discuss how you might apply them to kickstart this kind of composing career. 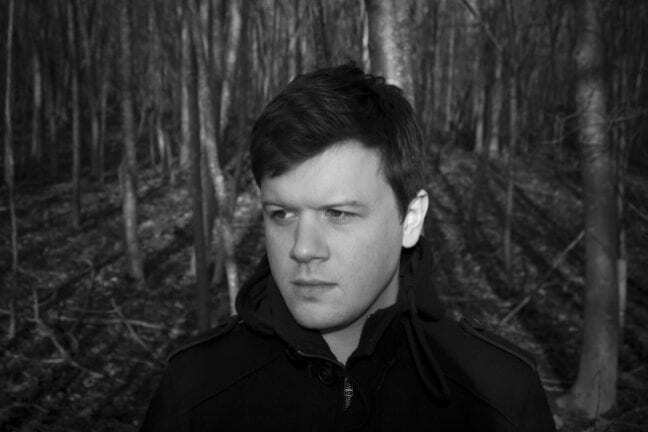 Since graduating from the course, Alan Myson has been leading a quite successful career in the electronic music scene for over a decade now as well as working as a sound designer and composer for films, TV commercials and video games including Roll7-505Games’s award winning Laser Leage. 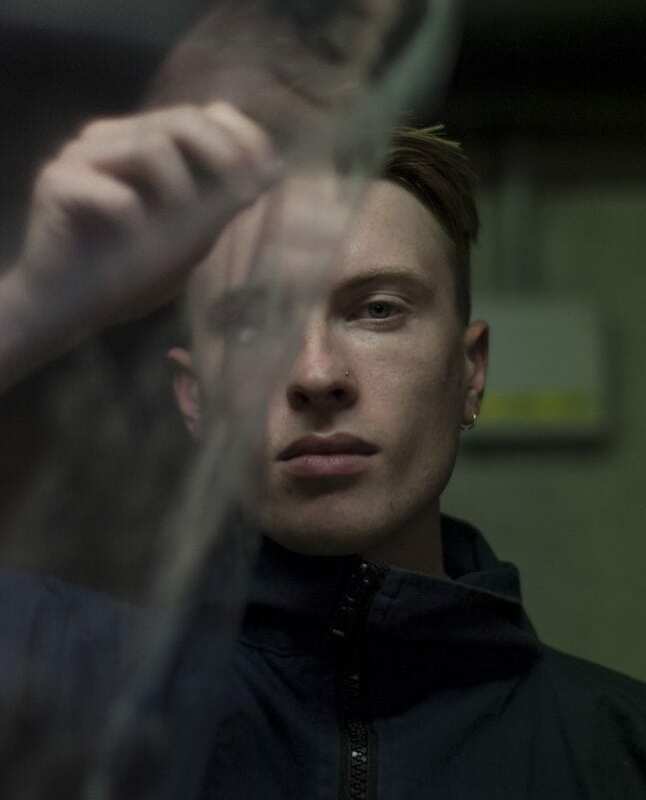 We talk to Alan about his background, inspirations, impressions from the course and his recent release on Planet Mu, titled ‘Bodied’. AM: Hi! I am currently in my studio in Norwich where I have just very recently moved to from Brighton. Sad to say goodbye to Brighton after having been there for so many years but fancied a change and it’s a beautiful part of the world around here. AM: Naivety: I think it’s really important as a musician to keep learning and (at least try to!) hold on to the magic of why you love making music in the first place. It is so easy after years of working in music to get stuck in your ways or start thinking of it purely as a job, I find I have to keep finding new ways to keep myself inspired and excited in what I’m doing, surprise myself and not take things for granted. Experimentation: This is kind of an obvious one but there’s nothing worse than feeling like you’re sticking to your comfort zone. It can feel like a safety net if you’ve established a certain way of working and if you just keep repeating that you’ll stay fulfilled or productive, but for me I just can’t work that way. I don’t believe anyone does their best work when they are too comfortable! Process: By this I mean I’m a firm believer that nothing is really wasted in art or music. Everything you do is a process and you have to take a lot of wrong turns, missteps and frankly write a lot of crappy music in order to get to the good stuff. You also never really know when you’re going to come back to an idea from years ago which at the time seemed like nothing. I have on countless occasions re-appropriated some weird idea I had previously or had even forgotten I’d written. I think its important to just churn out as much music as possible, you always learn something even if it doesn’t seem like it at the time! AM: I’ve been involved in music since a very young age at school where I was in orchestras and sang in choirs, played in bands and the like, but I would say my real passion for creating and writing music rather than just performing was when I got my first electric guitar around aged 13. That opened the door for me into the world of experimenting with effects pedals and loopers. From there I began making very lo-fi electronic music and beginning to teach myself the basics. Once I managed to get myself a computer and a copy of Ableton Live around 2004 I was just totally obsessed with it and have been ever since. AM: We had a great bunch of people on the course whilst at Uni, I feel we all inspired each other and I still regularly collaborate with and keep in touch with a few people from my DMSA days. I was signed as an artist just as I was starting the course in 2007 so it was a really good time for me to experiment and learn both on the academic side and starting out on my career as well. I was able to combine techniques and experiences from the course into my work straight away as I was doing both in parallel. DMSA: Can you tell us a bit more about Bodied, your recent release on Planet Mu? AM: I definitely feel I’ve had a change in my musical approach and attitude over the last few years with my album ‘Hollowed’ in 2016 and this latest album ‘Bodied’ I’ve had a strong urge to change things up. Over the last couple of years making this album I’ve also been working on a fair few composing projects for video games/film and other stuff. Doing this gave me some space from my own work and let me look at it in a different light. It was refreshing for my own solo musical output to not be my only creative outlet. Having been working as a musician for over 10 years now I found it really important to give myself a new focus and way of working. This album features a lot more live recording, which is usually totally mangled. It’s very firmly an electronic record but I’ve used recordings of Cello, Guitar, Piano etc as a backbone for a lot of the textures. I was also keen to work with a vocalist to give the record a human element, it’s totally non-lyrical – more ghostly and choral but gave me a different sound palette to work with than on previous material of mine. AM: I tend to take a bit of a break from writing any of my “Ital Tek” music for a while after completing an album. I’ve been working on a number of composing projects and have some that I’m excited about coming up but unfortunately I can’t mention! I’m also working on a few collaborative projects which is not something I’ve done a great deal of in the past. I’m a bit of a control freak with my own music so it’s refreshing to get involved in projects where I have to leave that at the door. It makes me work in a different way and leads onto results that I could never have come up with myself. Alan will be giving a Masterclass to our students on Monday 12th November, at 4:30pm in our performance studio. More info here. DMSA alumnus Alan Myson returns to share his experiences, skills and tips with our students. The masteclass is going to be part practical demonstration of a load of techniques Alan use’s – breaking down a track/tracks from recent album and explore some examples of work from his career – alongside composing work for video games etc. Over the past decade Alan has had an esteemed electronic music career. Signing to the renowned British record label Planet Mu in 2006 he has released five albums, many EPs and has toured playing live worldwide. His 2016 album ‘Hollowed’ saw a more cinematic, abstract and impressionistic approach and was one of the most highly acclaimed electronic music releases of the year, cementing his reputation as one of the most exciting voices in electronic music. Alan’s highly anticipated new Ital Tek album ‘Bodied’ was released on September 7th 2018. Also working as a composer his music has been heard across BBC, ITV, Channel4, MTV, Amazon, National Geographic, The Discovery Channel, FX. And brands including Go Pro, Red Bull, DKNY, Google Glass, UEFA Champions League, Playstation. Alan recently worked with BAFTA winning studio Roll7 composing the original score for the sci fi video game ‘Laser League’. The game released on Playstation 4, XboxOne & PC in May 2018 to critical acclaim. We are excited to have Joseph Higgins (DMSA Alumni, 2017) back to lead a masterclass. Please note that the session starts at 5pm (not 4:30) and it is relocated to Studio 1. Metrist is an outlet for Joseph Higgins’ idiosyncratic, constantly evolving dancefloor tailored endeavours. The Brighton based artist’s intensity and sense of humour can be heard through his approach to alien-like sound design and mangled beatwork in his jaunty oddball shaped work. Through his collaborations with labels such as Opal Tapes, Where To Now? 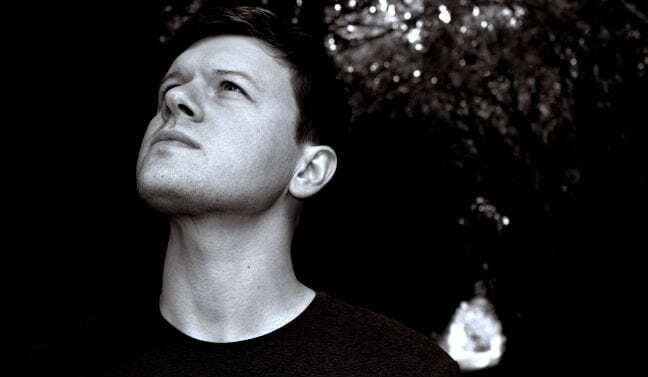 and most recently Timedance, Higgins’s work has been described by Hardwax as a “Dare-to-be-different true techno explorer”. The session will be looking into how we approach sound design in club music, keeping what is essentially nearly 40 years of electronic music fresh and exciting by adding experimental techniques and approaches to dance music formulas. I will also be talking about working in the industry, how to garner releases and DJ’ing.